The book of Ezekiel reflects a degree of liteary coherence unmatched in the canon of biblical prophets. Organized around three major visions of God, the book tells the story of God's final attempt as their only legitimate king to claim the loyalty of his subjects, the rebellious and recalcitrant house of Israel. The prophet Ezekiel plays a key role in this campaign. 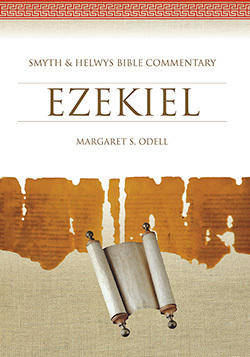 In both vision and symbolic act, Ezekiel is so closely identified with divine judgment that his life becomes a mirror of the judgment itself. His first vision gives him a glimpse of the cosmos under the rule of God and inaugurates him into his role as a prophet, a visible sign of the power of God. As the book unfolds, the prophet will see visions, the people will see the prophet, and both spectacles will demonstrate without a doubt that Yahweh is the God of Israel. Margaret S. Odell is associate professor of religion at St. Olaf College in Northfield, Minnesota. In her writing and teaching, she explores the way in which the writings of the Bible reflect a creative response to cultural and political crises in the ancient world.